Raymond, I am going to truly miss you and although it is too late, I apologize for visiting you as often as I could have. I remember Raymond from 8th grade at Lincoln. A lot of the girls were crazy about him. I was one of the lucky ones to have had the opportunity to call him my boyfriend for a couple of years. God bless the family and keep your hands in the hand of the Master, He will comfort you at all times. 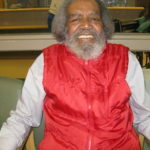 Raymond will be missed by all of us from the American Legion Auxiliary! He was such a sweet man! May the comfort of God help us through this difficult time. Lord, we pray for Thy comfort to come to our family in great measure. Dear Ray Jay, I was so fortunate to have the privilege of working with you at the hospital. Your smile is something I”ll never forget. I treasure the memories we shared of our childhoods as we were so close in age and our birthdays were so close together. Loved you, brother! Rest in Peace in the arms of Jesus! Raymond L. Jamerson, 81, passed away on January 13, 2019. He was born on December 19, 1937 to Clarence Sr. and Blanche Jamerson in Evansville, Indiana. Ray was the friendliest gentleman you’d meet. He graduated from Lincoln High School, class of 1955. After high school, he served in the Navy for 4 years. Ray loved to play the piano and sing. He played at the Black History Program. He enjoyed listening to jazz, r&b, and Aretha Franklin. 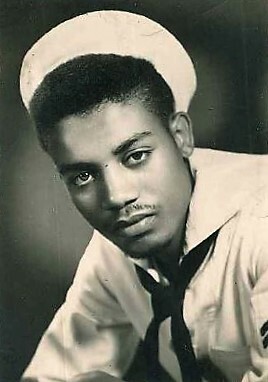 Ray is survived by his brother Clarence Jamerson Jr.; his sister Shirley Jamerson Tyler; and several nieces, nephews, and cousins. Ray is preceded in death by his parents; his siblings Dorothy Sanders, James Green, and Catherine Vandever. A graveside service will be Saturday, January 19th at 11 a.m. at Sunset Memorial Park in the Chapel of Peace Mausoleum. The family would like to thank the State Hospital doctors, nurses, social worker, and staff and also the doctors, nurses, and staff of St. Vincent Hospital for their care.